Mary Delores Jones began life’s journey in Anniston, AL to the parents of the late Mr. Thomas and Beulah Wynn on September 27, 1958. She graduated from Anniston High School class of 1976. Mary married Mr. Orlando Jones, who preceded her in death. Affectionately called Auntie, and just Mae Lois. Mary confessed Christ as her Lord and personal Savior at an early age. She was a member of Greater Calvary Baptist Church Anniston, AL. She lived a fulfilling life as a sister, aunt, and friend. On Tuesday, November 27, 2018 Mary answered the Master’s call at Regional Medical Center Anniston, AL. In the presence of family she gained her wings and was summoned to Heaven. God in His special way, at His perfect time, picked from our midst this sweet soul and added her to His heavenly garden where her spirit will bloom forever. 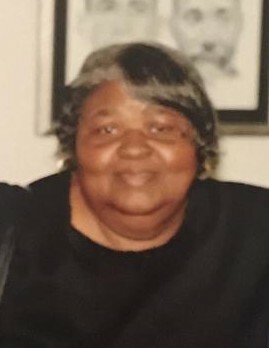 She leaves to cherish her memories: brothers: Thomas Wynn (Phyllis) of Killeen, Tx; Robert "Butch" Wynn of Anniston, AL; nieces: Doreta Borden of Sylacauga, AL, Tasha Sayles (Mike) of Munford, Al, Gwendolyn Wynn of Lincoln, Al; nephews: William Borden Jr. (Shelia) of Sylacauga, Al, Christopher Borden of Baltimore, Maryland, Patrick Wynn (Delores) of Virginia Beach, Va, Thomas Wynn III of Carrollton, Ga; great nieces: Ashley Borden of Sylacauga, Al, Keyana Groce of Lincoln, Al; great nephews: Darious Borden of Sylacauga, Al; Cameron Borden of Sylacauga, AL, Tyrique Jones of Orlando, Fl; Patrick Wynn of Virginia Beach, Va, Pierre Wynn of Virginia Beach, Va; four great great nieces; two great great nephews; and a host of family, friends, and other relatives. She was preceded in death by her parents, Thomas and Beulah Wynn, her husband, Orlando Jones, two sisters, Annie Wynn Bagley and Betty Wynn Borden.